Baseball players celebrate after Friday's walk-off steal of home by freshman outfielder Colin Brophy. 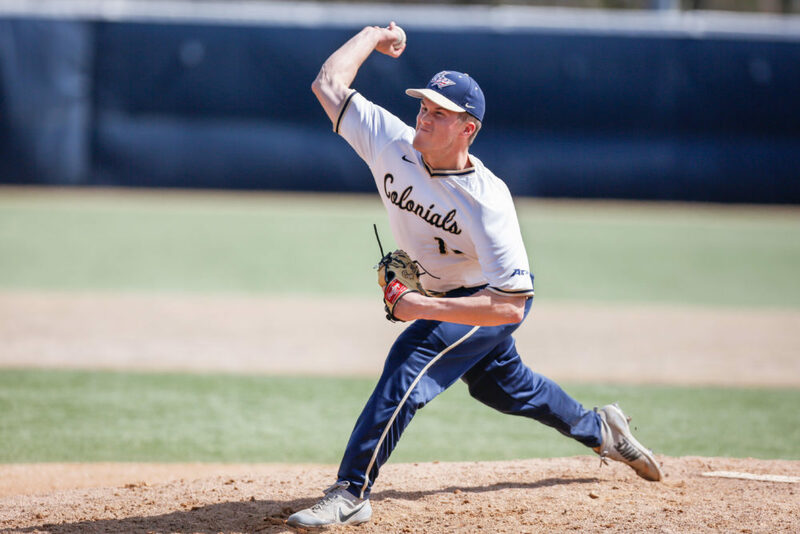 Baseball swept North Carolina Central this weekend to win GW’s final non-conference series of the season and extend the Colonials’ win streak to six games. Strong hitting and steady pitching performances carried the Colonials (19-12, 5-1 A-10) past the Eagles (20-14, 6-6 MEAC) 10-4 and 1-0 Friday and 19-7 Sunday. 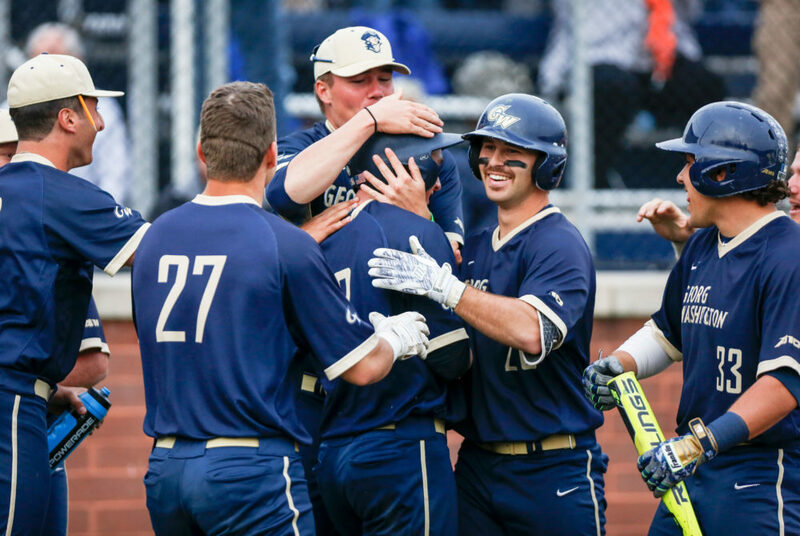 GW has now won 12 out of its last 13 contests and the team’s 19 hits and 19 runs in the series finale are both the highest totals the Colonials have scored all season. Head coach Gregg Ritchie said the Colonials will look to continue to build off this weekend’s success as the team heads deeper into the regular season. During the series, senior utility player Isaiah Pasteur extended his hitting streak to 19 games and recorded his first win of the season on the mound in the series’ second game. GW’s offense opened the series with an explosive performance to collect a 10-4 win against the Eagles Friday. Five Colonials recorded multiple hits, led by Pasteur, who went 3 for 5 from the plate in the outing. Senior outfielder Mark Osis recorded four runs batted in – a career-best. North Carolina Central found the scoreboard first in the top of the first inning when an RBI-single from senior utility player Andrew Vlichka sent sophomore infielder Corey Joyce home to put the Eagles up 1–0. GW tied the score in the bottom of the first when an RBI single from sophomore infielder Nate Fassnacht sent senior shortstop Robbie Metz over the plate. Both teams picked up one more run in the third inning, but GW’s bats caught fire in the bottom of the fourth inning. The Colonials posted five runs to jump ahead 7–2 after senior outfielder Matt Cosentino started the frame with a single to right field and his teammates followed with five more hits. The Colonials picked up three more runs in the seventh and eighth innings to cap off the win. Sophomore pitcher Jaret Edwards gave up 11 hits and four runs over 6.1 innings to walk away with his second win of the season. Junior pitcher Will Kobos tosses a pitch during a baseball game against North Carolina Central Friday. The second game of Friday’s doubleheader was won on the shoulders of sophomore pitcher Elliott Raimo, who struck out nine Eagles and retired 14 North Carolina Central batters in the opening five innings on the way to GW’s 1–0 victory. Raimo finished with four hits allowed through 8.2 innings of work and ended the game with a career-high 12 strikeouts. GW scored its only run of the game in the bottom of the ninth inning. After reaching base on a wild pitch, redshirt freshman outfielder Colin Brophy advanced to third after a single from Pasteur. Another wild pitch from North Carolina Central sent Brophy over home plate to capture the win. On the mound, Pasteur earned the win after relieving Raimo with two outs in the ninth inning. 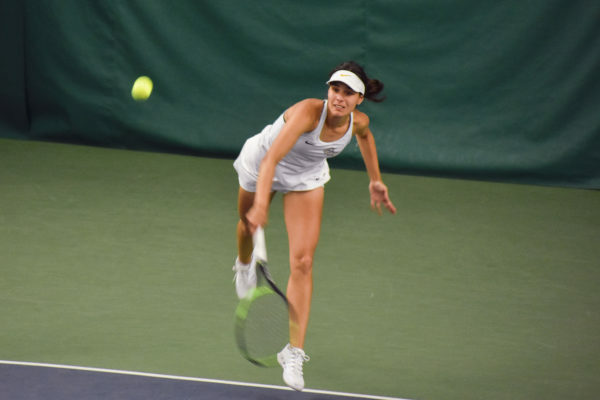 Although the Colonials left 10 runners stranded on base in the day’s second victory, Ritchie said he was happy to come away with two wins in two games Friday. The Colonials capped the series with a monster offensive performance, besting the Eagles 19–7. 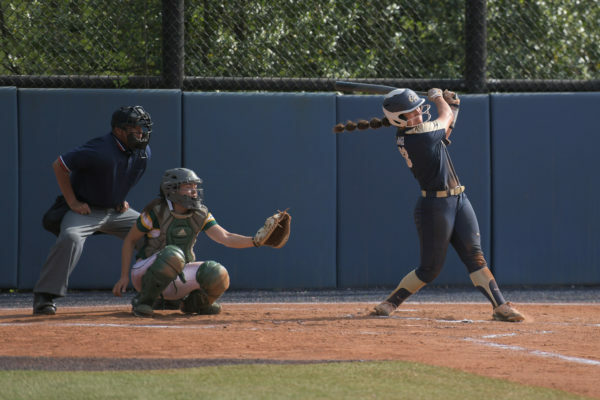 After a home run put the Eagles ahead 2–0 in the first inning, the Colonials connected on eight hits to score nine runs in the bottom of the first inning. North Carolina Central’s starting pitcher senior Jonathan Figueroa gave up six runs and left the game before recording a single out. Pasteur and sophomore first baseman Steven Barmakian led the charge with three hits each, and six other Colonials had a multi-hit games. Barmakian said the number of hits spread throughout the lineup is a testament to how well the team adapted to the six different pitchers they saw throughout the game. The Colonials return to action Wednesday to face off against UMBC. First pitch is scheduled for 6 p.m.